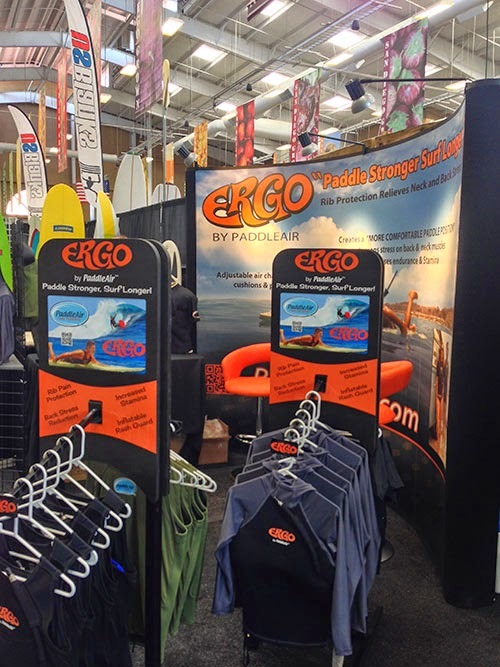 The PaddleAir booth at The Boardroom International Surfboard Show at the Fairgrounds of Del Mar, California on May 17-18 was a great success. 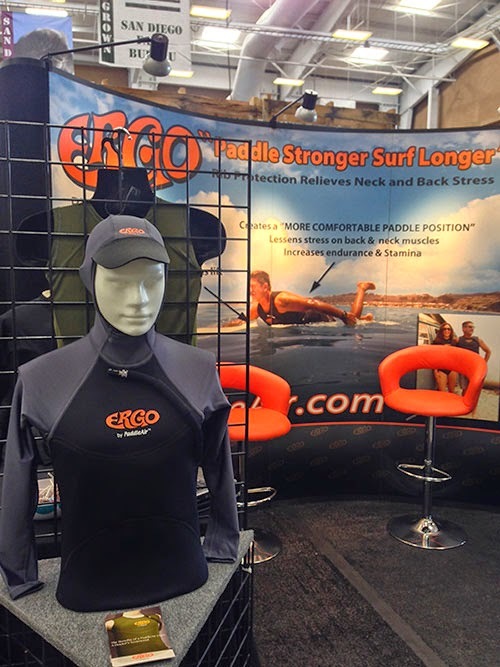 We had a waves of surfers stopping by the booth to check out the four different PaddleAir Ergo paddlewear models we featured at the show. 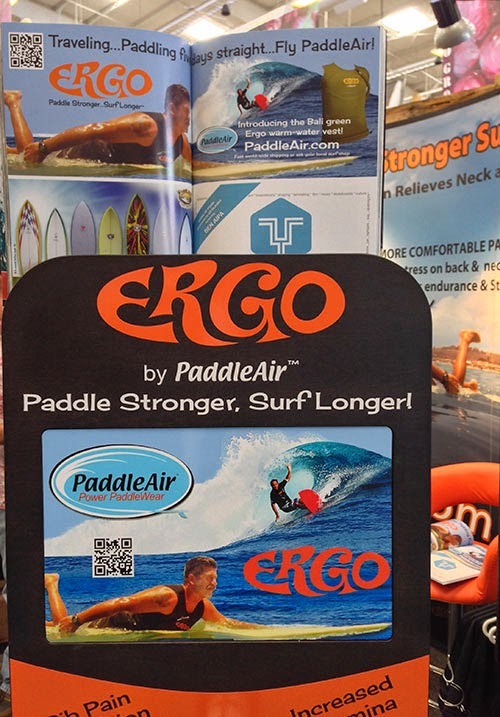 It was a wonderful opportunity for visitors to not only meet PaddleAir founder, Dave Hilts, but also to discover, first hand, how helpful an Ergo can be to relieve rib and shoulder pain, sore backs, and make paddling stronger. Many tried on a PaddleAir to discover the benefits themselves. Below are just a few views of the booth, most taken before the crowds arrived. Vest (left) and the New Ergo Sun Hoodie (right). Neoprene and Lycra Long Sleeve Sun Hoodie. PaddleAir Ergo ad at top and The Boardroom ad at the bottom right. 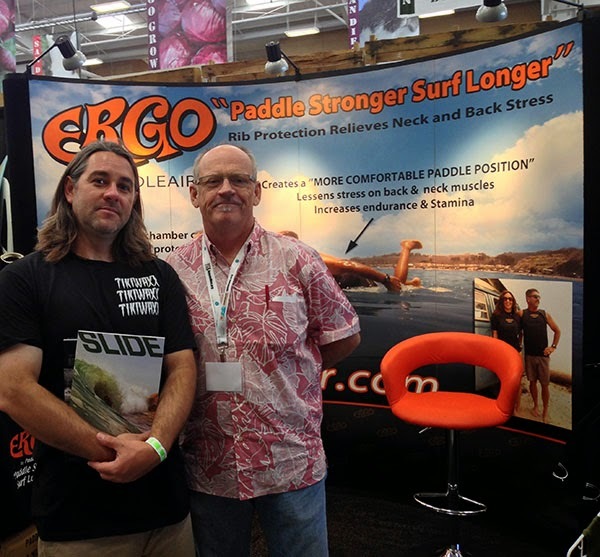 with PaddleAir founder, Dave Hilts. booth trying out a PaddleAir Ergo Bali Green Vest.